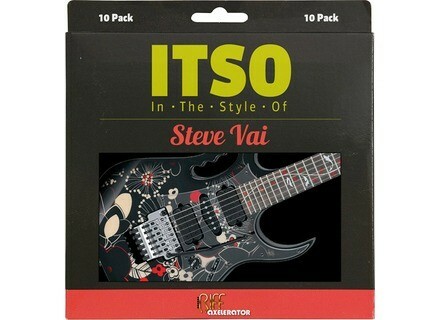 ITSO Steve Vai, Educative Software from Riff Axelerator. Available on Mac and Windows, Riff Axelerator ITSO (In The Style Of) displays both tabs and usual notation and reads them at different speeds. You choose the speed you want to start with and the software will increase it by 1 BPM with each repetition. You can then learn riffs at your pace and increase your playing speed. A Loop feature is also available if you have trouble learning a part. 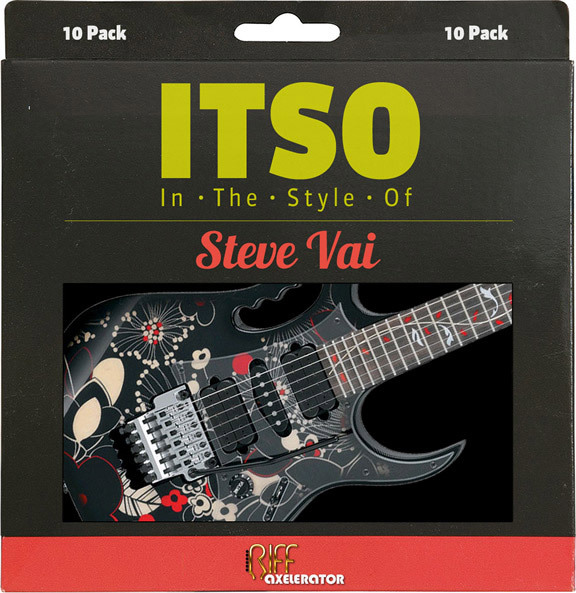 Riff Axelerator offers for the moment ITSO Joe Satriani and ITSO Steve Vai riff collections, Slash is the next artist to be added to the catalog. You can buy riffs separately ($3 each) or bundled ($20 for 10 riffs). You can also download a demo version from www.riffaxelerator.com.